In 1923 in an obscure village in Croatia, a little boy named Miljenko was born, the youngest of eleven children. Soon enough, their small world was torn apart by war and their home destroyed. By luck, determination, a few miracles, and with the assistance of kind relatives and friends, Miljenko survived the war years and the rise of Communism. Where others gave up hope, Miljenko nurtured a dream: to one day grow wine in California. It was never easy, but Miljenko arrived at his goal when he was still a relatively young man, carrying with him his trademark black beret and a cardboard suitcase containing the wine textbooks he had brought with him from the Old Country, and little else. Miljenko, now “Mike” Grgich had arrived at a Napa Valley that was on the rise. In 1976, a blind tasting of California and French wines at the Judgment of Paris sent shock waves through the wine-drinking world. The upstart Californians had triumphed over the best of the established French wineries. And at the center of the hubbub was Mike Grgich, who had crafted the winning 1973 Chateau Montelena Chardonnay that beat all contenders. Mike Grgich went on to co-found Grgich Hills in 1977 with Austin Hills and has been showered with awards and accolades, including inclusion into the Vintners Hall of Fame in 2008. His wines have been served at the White House to presidents, royalty and celebrities. His famous beret and the battered suitcase he carried with him from Croatia now reside in the Smithsonian Institution alongside the winning bottle of 1973 Chateau Montelena Chardonnay. The Smithsonian even included that legendary bottle in “The History of America in 101 Objects”! Mike Grgich’s remarkable story and his passion for wine and for life have made him a legend and a true American success story. Mike Grgich maybe small in stature, but he is a giant in the world of wine. His new book dramatically tells his full story, which is a great tale of a dream come true. I heard some of his stories when I was working on my book Judgment of Paris, and in reading his book I felt like I was listening to him tell them again. You hear the voice of Mike come through loud and clear. The book also shows that there are a lot more aspects to Mike’s life than just Cabernet and Chardonnay. It’s a great and fun read. Anyone who has spent more than a few minutes with Napa Valley winemaker Mike Grgich knows that he loves to tell stories. This penchant for spinning tales, when combined with the incredibly long, storied life he has led, makes an engaging, almost lyrical memoir that’s entertaining for the average person and compelling for the person who appreciates fine wine or modern history. This would be an important oral history of one of Napa Valley’s most famous winemakers even if it were dull. Fortunately, it’s not. Mike Grgich’s voice is personable and his brisk retelling of events puts you right there, whether he’s losing his shirt in a river before an important boyhood religious ceremony, or hoping for the color to return to normal in an important Chardonnay. Mike has lived an amazing life and this book captures it.  © Violetta Press. Website by Invictus Local.